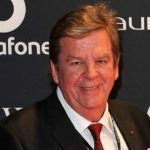 Johann Rupert, the multi-billionaire South African-born entrepreneur, who is the chairman of the Swiss-based luxury-goods company Richemont as well as of the South Africa-based company Remgro. drew mixed reactions following his public interview with Mkhari Given on Tuesday during the annual Power FM Chairman’s Interview. The interview touched on several topics that included his beginnings as well as his fathers and his take on the white monopoly capital moniker that many of his detractors including the EFF have used against him. “I hear this narrative that Madiba (Nelson Mandela) was a sellout. I mean … it’s totally disrespectful. I don’t see your age group … I don’t see you going to jail for two, nearly three decades. No, you’ll miss The Sands. Be respectful to your elders. I haven’t seen leadership coming out of your generation.